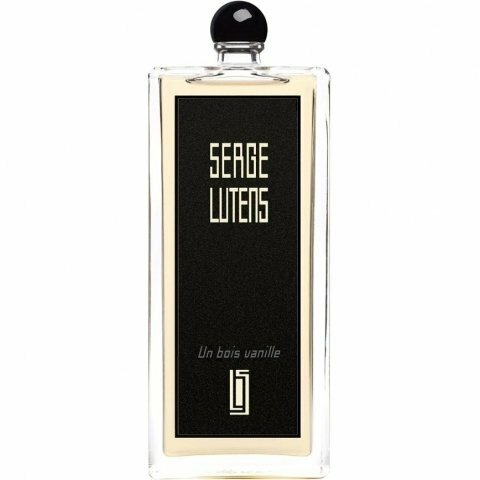 Un bois vanille is a popular perfume by Serge Lutens for women and men and was released in 2003. The scent is gourmand-sweet. The longevity is above-average. It is still in production. In 2006 a limited bottle collection, "Les Fauves Royaux", was released, attaching the design Gazelle to this scent. At first you can perceive a very fine, sweet - creamy exotic note which looks like a light noble body milk and is due to the coconut milk. The coconut milk is accompanied by a pleasant light - powdery almond nuance, which is responsible for the fact that the coconut milk appears very minimally viscous, even pithy and comes from the bitter almond. A little later the "Bodymilch" is refined with the finest beeswax, which gives the fragrance something devoted and not at all waxy, but appears to me like pure blossom honey. In the course of time a sweetish touch of Bulgarian roses is added, which bring a very soft and warm woody touch, which gives the fragrance a very beautiful deep cuddly femininity and stems from the guaiac wood. In the last 3 hours vanilla - absolute, caramelised benzoin and tonka bean melt into an incredibly creamy, very smooth and lulling vanilla cream brûlée. Sandalwood and liquorice I couldn't see, but I can imagine very well that these two notes were used to complete the music. In total, the fragrance lasts 7 hours on my skin. I would like to express my sincere thanks to our perfume "Cocinera" for the sample. This spring, I've been meandering with a first date through our charming city. We had happened to talk about perfumes and that was just at the time when my interest in fragrances had exploded. So we figured that we could just as well visit a local perfume shop and, why not, test some scents to let them get rated by the other. In German, the expression "being able to smell someone" actually means "being attracted to that person". So a pretty good double meaning for a first date, heh. And in the worst case, it this event could serve as conversation starter to break any awkward silence. Straight ahead: My date didn't like Un bois vanille. Too sweet. I didn't contradict her, not because of good mood's sake, but because she was right. It IS a sweet scent, sticky fun fair sweet. Yet, I took great interest into my wrist that the sales agent - to my horror - had sprayed until it was wet, way more liberally than I'd ever apply perfume, let alone new ones. So how does it smell? What I believe to recognize is a subtly tart, not exactly sour liquorice that a relaxed vanille puts to rest in a slightly bitter, smoky bed of bee wax. Would I recognize that without the note pyramid? I don't think so. As stated, Un bois vanille is expressively sweet, but not just that. There are sufficient extra ingredients that give it depth and an enjoyable tension. Yes, extra, they leave the soft sugary character intact and extend it. Yet, or maybe for that reason, the fragrance is unisex for me, assuming that sweet gourmands float your boat; a classic scent for the office this is not, though. In addition, it has enough breath to last a day and leave some traces of fur on my office neighbour's desk, yet another reason to take this expressive pet out in the evening instead. One shot is enough, for me and my environment. I rarely comment flacons, but I was positively surprised when I unpacked the bottle. Mine came not with the round cap, but the cylindric one like on some of the photos below. For me, that suits the slim elegant flacon design extremely well, going along with the modest colour and the beautifully serifed font. A noble appearance that works better in reality than on the photographs. - In German, we differentiate between liquorice as the black sticky candy ("Lakritz") and the sweet root that's used for its production ("Süßholz"). While some people find that those two smell / taste alike, I find them to be fairly different. For this scent, it's hard for me to say if I should refer to the root or rather to the candy. It's blended very well and somewhere in between. - I wrote the German review some months ago. By now, I can say that I rarely use Un bois vanille. It's thick, heavy and sweet, not many occasions call for that, especially in Summer. But once in a while, I spray it on and even if it's just before going to bed, it brings a happy smile to my face. Pleasant.. but expensive for what it is. A very soft, sweet, and creamy vanilla with a resinous, waxy quality that makes you wish you could sink your teeth into it. Though it's unique and I haven't smelled anything quite like it.. it doesn't particularly call out to me, or coerce me into buying a bottle. Gourmand lovers would probably feel differently, however. This is vanilla, almost drowned by dominant other notes: booze (brandy? ), licorice, woods and benzoine. In the beginning the licorice rules, quickly followed by some boozy note and sharp woods. After that i can clearly detect beeswax. In about 20 minutes Bois de Vanille becomes a warm black beeswax smokey vanilla with a remote hint of coconut. Lovely in wintertime, mature and distinctive. In warmer weather the coco is very dominant..! This fragrance opens with an unusual blend of liquorice and coconut milk. Together the two notes blend into a vanilla-like composition which, however, breaks apart if one concentrates on the notes. As the fragrance progresses, there are moments the notes are at odds with each other and try to dominate one another. This struggle can only be smelled up close, further away the vanilla impression is still intact. I would not describe that particular accord as thoroughly gourmand, because there are instants the fragrance smells soapy and chemical. On my skin this fragrance is rather strong and has great sillage. Being not used to the world of gourmands, I must admit this one took me by surprise by how sweet it was. Very much like toffee candy was my first impression, or vanilla fudge. This is the sweetest gourmand I have tried. I could see how this could be appreciated by many people. I myself would love to smell this on someone. However it is the very best kind of fragrance if sweet, sugary, cloying gourmands are your thing. To someone else this could be a masterpiece in that field. To me, it's just caramel toffee candy. But still it would smell nice on the right person, of that I'm sure. How can anyone dislike this perfume? It's pure delight. More of a honey perfume, from my point of view, though. I mostly smell these notes: honeycomb, vanilla, tonka bean and guaiac wood. I think there might be some benzoin warming everything up, some sandalwood too- especially in the drydown cause it gets veeeery smooth. I can't smell ANY coconut or almonds. On the other hand... I smell a tiny amount of licorice in the opening, though I don't see it listed here. It's a great perfume, worthy of blind buy in my opinion. Worthy of backups too. But if you're looking for a vanilla perfume, this is not it, it's mostly woody notes and honeycomb, vanilla plays a smaller role. Vanilla is a key component to both the contemporary dessert/gourmand and the classic amber oriental. Vanilla is almost inescapable in perfumery, but it’s usually found in the familiar company of labdanum, balsams, resins, spices or ethylmaltol in the above genres. It takes effort to dissociate it from the foody, cuddly feel. Despite its brief plastic/cotton-candy camouflage topnote (wonderful! ), un Bois Vanille does just this. After the foody misdirection, BV avoids the expected. The tease of edibility shows itself as a licorice note, not cotton candy. The licorice also keeps BV from going the amber/oriental route since the genre is almost by definition warm, round, thick. Licorice here comes off as anise-like not candy-like. It’s cool and focussed and it brings out vanilla’s sharp, bitter side, making it more potent than plush. After the expansive opening the heartnotes are fairly quiet, with a dry, airy feel that I would think to associate with frankincense, not vanilla. By drydown BV is dusty but still taut, reinforcing the point that vanilla can be strong and direct without being lush. BV stays cool as it winds down and resists becoming a skin-scent, further bucking a vanilla stereotype. BV solves a problem for me. One of very few in perfume fan-dom, I don’t like Caron’s Pour un Homme. The lavender/vanilla combo has no synergy and reminds me of the feel of a stuffy head. In BV, the cool side of the licorice fuses with the vanilla in a way that I imagine Pour un Homme’s minty lavender and vanilla combo works for the rest of the world. Not enough bois in this vanille. This is certainly different from most of the vanilla perfumes I have tried. So much so that I had to really sample this over a span of time to give it its proper due. I tend to gravitate towards smokey, dark vanillas and expected something along those lines with this (especially since it is a Serge Lutens). In contrast, Un Bois Vanille is a light, almost marshmallowy, sweet vanilla scent. That initially put me off, I think, simply because I had a preconceived idea of what this perfume would smell like. Anyway, I put the vial away and decided to try it at a later point with my head cleared of any expectations. Well,today was the day I tried it again, and ....... I still don't like it much. The coconut comes through very strongly and really overpowers whatever anise and sandalwood is in there. Too bad - a heavier dose of sandalwood would have mitigated the candy sweetness of this and given it more depth. Coconut/vanilla/caramel... and (on me) not that much wood. 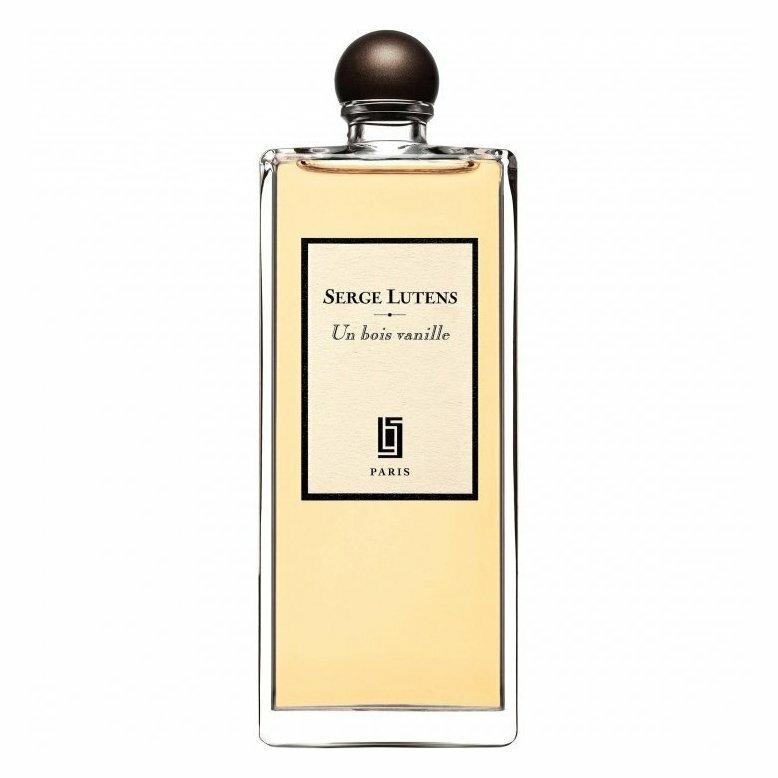 To my dismay, I often find Serge Lutens' fragrances too sweet for my taste and always seem to approach them with a sense of resignation, concerned as I am that I will not be able to enjoy what I am about to sample. I do love the smell of vanilla; and especially the wonderful, fragrant aroma of fresh vanilla pods. 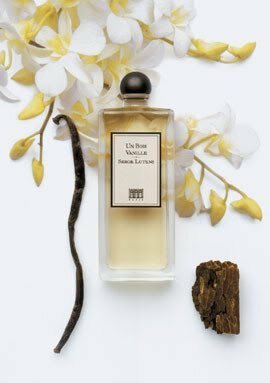 The idea of a wood and vanilla fragrance is appealing to me, and I thought that perhaps Un Bois Vanille could be something to enjoy, my worries about sweetness put aside. And I did, on the whole, with some reservations. I should say first, on the negative side, that to my nose there isn't that much wood in Un Bois Vanille. I had the same "where's the wood?" interrogation with SL Cèdre some time ago. The opening here is an intense blast of coconut and vanilla. Definitely gourmand territory! The fragrance immediately feels rich, and you know it's going to last. I am glad to say that the vanilla does feel very natural and mouth-watering. The warmth of Un Bois Vanille continues to develop quietly — there isn't that much evolution, but rather the fragrance feels like it has to be enjoyed as a whole. The coconut note subsides and is replaced by something caramel-y. Vanilla fudge or toffee, something like that. Richness and sweetness, once again. Luckily this does not feel as sirupy as, for instance, Chypre Rouge. At this point I would really have loved the woods to kick in, but sadly they did not. There is a slight licorice note that permeates from time to time but on the whole the fragrance remains a thick, intense coconut/vanilla/caramel affair. To summarize, this is a pretty good vanilla that you might enjoy (especially during cold days) if you like very strong gourmand fragrances and don't mind the ever-present sweetness. Projection and longevity are both excellent. Write the first Review for Un bois vanille!